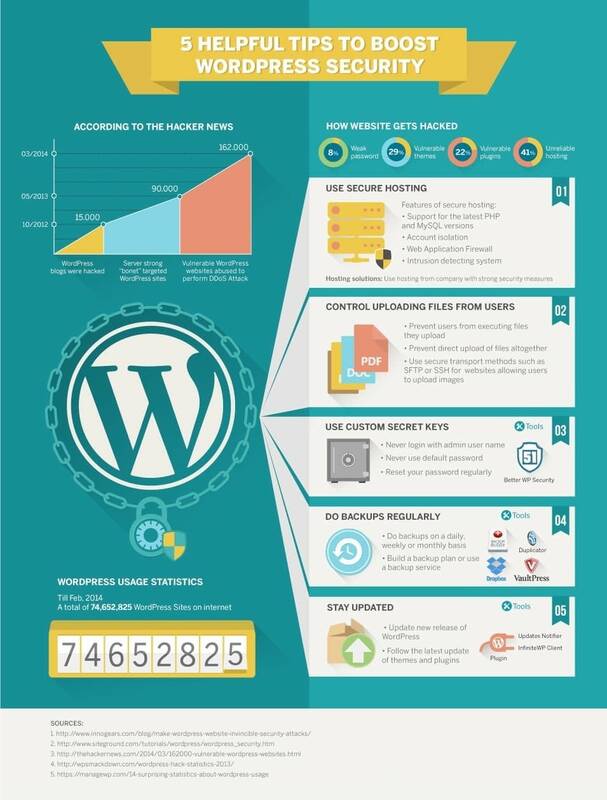 Are you interested in speeding up your WordPress site? The faster your site’s pages load, the better the experience your users will have. In this guide, we are going to review some of the most useful tips for boosting a WordPress site’s performance. WordPress is an open source project that is well-maintained. As a result, there are frequent updates. These updates offer new features, fix issues with security bugs, and improve functionality. It is your responsibility to keep WordPress up-to-date. This includes site themes and plug-ins. If you do not do this, you not only make your site potentially slower and unreliable, but you also open up visitors to security threats. Getting a number of comments on your site are a good sign of visitor interaction. Unfortunately, getting a lot of comments on your WordPress site can have a negative impact on the speed of the site. You can address this problem very easily. Go to the Settings section and click on Discussion. You will see the option to break comments into pages. Doing this will speed up your site’s loading speed, making it more usable for your guests. When you select the theme for your website, it is easy to get wrapped up in how beautiful or how impressive the site looks. Unfortunately, many of these attractive looking sites have been poorly coded. This poor coding can slow your site down. If you’re concerned about speed, it’s often better to use a simple theme as opposed to a theme that’s bloated with a ton of animations, complicated layouts, and other features that you don’t need. If you find that you need some of these flashier features, you can add them later via a WordPress plug-in. After you use your WordPress site for a while, your database starts to accumulate information that you just don’t need. Optimize your database by getting rid of unnecessary information. One tool that can help you accomplish this is the WP – Sweep plug-in. It allows you to remove unused information. This plug-in can also optimize the structure of your database with just one click. If you have a site that is full of videos, images, and photo galleries, you may benefit from lazy loading. As opposed to loading all of the images and videos on your site at once, lazy loading only downloads what the user is going to be looking at the moment. Other videos and images are replaced with a placeholder image. As the user scrolls down, the images that will be visible on the screen are downloaded. This speeds up how fast your site loads. There are a couple of plug-ins that are good for this, including Lazy Load by WP Rocket. When your plug-ins are causing slowness, you’re going to see a variety of symptoms based on what activity the plug-in performs. In a number of cases, you’re going to see that a slow plug-in is going to impact the speed of every page on your WordPress site. Some of the reasons why plug-ins may slow down your site are because they are poorly coded or are not effective. Images are a key part of your website. It’s important that you optimize them. The images you use should be the proper size. You do not want to load large images and then use HTML to scale them. You do not want the images you upload to be bigger than the size that they will actually be displayed in. When possible, make use of Sprites for your themes. This technique makes it possible to use a single image to display multiple design elements of your page. As opposed to loading a number of small images, each requiring you to make HTTP requests, your site will open a single image. This can improve load times. If your site is relatively new and does not get a lot of traffic, most discount hosts will provide a service that’s right for you. However, if you do get a lot of site traffic, it may be a wise idea to move to a dedicated server. With a dedicated server, resources are not shared. This is important when uptime is crucial. With shared servers, if another site is using up the service bandwidth, then you have a slow running site and a lot of potential downtimes. A dedicated server guarantees that you’re not sharing a server with spammers or with malicious websites. A dedicated server is going to cost more than shared hosting, but it is an investment that is worth the price. In this guide, we have just scratched the surface when it comes to things that you can do to speed up your WordPress site. Do you have any other tips that you would like to share? We look forward to hearing from you in the comments section below.